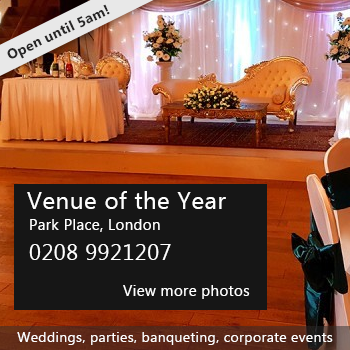 The Well Function Halls consists of 4 separate halls with maximum 'Banquet Style' capacity for our smallest hall being 100 and our largest 200. We are conveniently located in the heart of Croydon near - West Croydon British Rail Train Station - West Croydon and Centrale Tram - 12 minutes from London Bridge and Victoria - 5 mins by bus from East Croydon British Rail Train and Tram stops Bus Routes to front door include: 60, 64, 109, 198, 250 and 289 We have multiple packages on offer - including any, or all of the following: - Hall inclusive of Tables & Chairs; Standard Venue Styling (Tablecloths, Chair Covers, Chair Sashes, Table Centerpieces, Top Table Styling etc); Proper Dinner Plates, Wine Glasses, Cutlery etc Give us a call to discuss details! Our venue exists to serve the Community and is a great place to host your... - Birthday Celebrations - Wedding Receptions - Anniversary Celebrations - Church, Community &/or Family Events - Engagement Celebrations - Workshops, Meetings, Conference &/or Training Events Give us a call - let's talk! There have been 0 reviews of The Well Function Halls. If you would like to send The Well Function Halls a booking enquiry, please fill in the form below and click 'send'. Perhaps some of the following halls within 5 miles of The Well Function Halls would also be of interest?